The hair follicle grows within the skin (scalp). If you bring the scalp back to a healthy state, it will also bring back the dormant hair follicle. Some causes of hair loss are poor circulation, hormonal imbalance and nutrition. This all involves the scalp condition and these theories are some of the reasons why we suffer from hair loss. This can be reversed because of the scalpâ€™s ability to regenerate itself. The scalp replaces its cells around every 21 days (the life cycle of the scalp). The hair follicle lives within the scalp, so it too will be regenerated. Under the proper conditions, you can replace the damaged hair follicle with renewed healthy hair follicles. 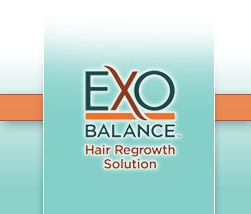 ExoBalanceâ„¢ Hair Regrowth Solution brings these proper conditions to you scalp. The first 21 days: Using Hair Restore twice a day on the scalp, starts to reverse the hair loss cycle. The pores of the scalp are cleansed; oils and dead skin are removed from the pores. The 2nd 21 days: The scalp has stopped the hair loss cycle. The imbalance flora is reversed and the new flora is coming back into balance with the scalp. The 3rd 21 days: Blood flow and capillary action is improving, bringing it back to the scalp. The 4th 21 days: The scalp starts to regenerate the hair follicle. The vital nutrients, vitamins, minerals and anti-oxidants promote the hair growth cycle. The 5th 21 days: The very thin non-pigmented hair starts to grow out. Still inside, the hair follicle is thickening with hair starting to push up the hair shaft. The 6th 21 days: You will feel, but not see, very fine peach fuzz on your scalp. At this time (Vitalisteâ„¢) all four steps are working in balance. The flora is stable and balance and thriving in its natural state. Blood circulation is back and this brings the vital nutrients, vitamins, minerals and anti-oxidants to the scalp that feed the hair follicle. The 7th 21 days: The peach fuzz has been fully pushed out of the hair shaft with thicker, stronger hair coming through. The hair has a stiffer feel to it. The 8th 21 days: You feel the stiffer hair in places where you have not had hair in years! At this time, you may see the hair with some pigment to it. 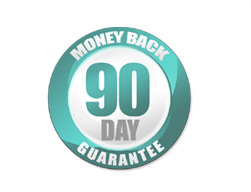 The 9th 21 days: Your scalp is back to its natural state; hair will continue to grow and you will see results. This will continue in bald areas (the crown and sides will continue to fill in). This is the time to enjoy your new hair! It has taken some time, but is worth it! 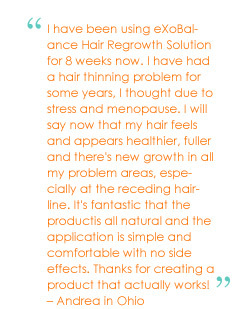 When you have reached your level of hair growth, use a maintenance dose three times a week.